Coming to the Hyatt Regency Hotel in Santa Clara, CA the Multicore Developers Conference is being held on May 21st and 22nd, 2013. The focus for this year is “resolving the technical aspects and business challenges of designing with multicore processors”. Early Bird Discount – $495 if received by May 17, 2013. Full-time Students and Professors – $95. As we prepare for the 8th Annual Multicore Developers Conference, it’s interesting to reflect on the evolution of the industry towards the adoption of multicore technology. 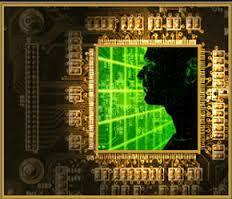 Certainly, multicore has become the norm – in both embedded and high-performance computing. Definitely, the focus of multicore now encompasses homogeneous and heterogeneous perspectives, as well as the infinite array of cores in many-core devices. Decidedly, both hardware and software vendors have crafted imaginative solutions to enable easier-to-use and higher-performance multicore implementations. Despite this incredible evolution, there’s still much more to learn about the ways in which system developers can utilize the full benefits of multicore devices. A large percentage of this learning relates directly to application-specific design characteristics, whether it be for smart phones, networking and LTE equipment, automobiles, or supersonic fighter jets. On the other hand, regardless of the application, there are many general techniques and concepts that would benefit every system developer. Furthermore, with such an abundance of available multicore solutions, it has become ever so difficult to select the right product to do the job. As we’ve done since the inception of Multicore Developers Conference, we will once again bring you state-of-the-art technical sessions and panel discussions spanning the gamut of domain-specific and general techniques. You’ll also have the opportunity to hear from leading industry VIPs who will provide you with authoritative perspectives on how multicore processor technology will affect your business and product development, and help us look into the future of what multicore will bring. Achieving Maximum System Performance With Manycore Network Processors: Homegrown or Off-The-Shelf? Multicore chips – Have we Created a Monster? Look where OpenCL is now! Optimizing Mobile Platform Benchmark Scores – Does it Translate to Actual User Experience? Can Parallel Programming for Multicore be as Simple as Sequential Programming? The 8th Annual Multicore Developers Conference is a must attend event for developers and implementers of this technology.